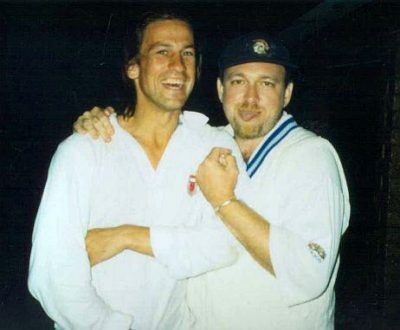 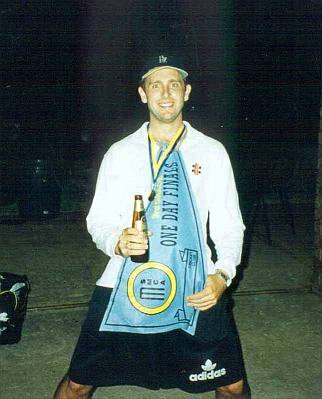 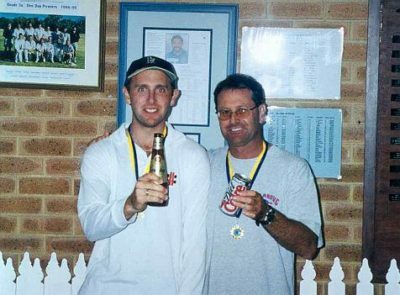 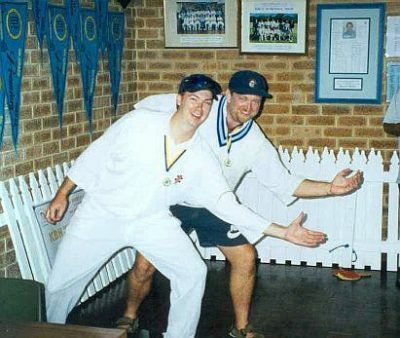 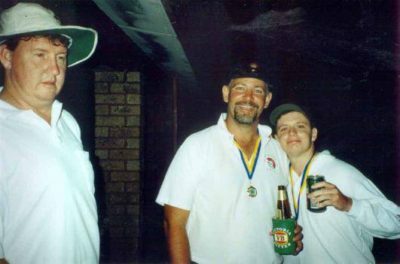 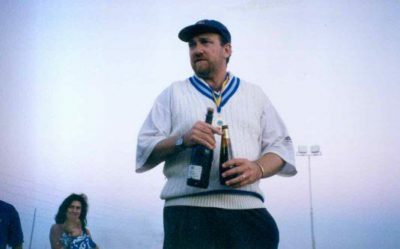 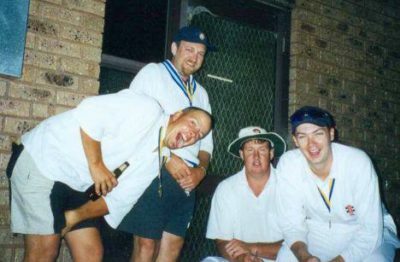 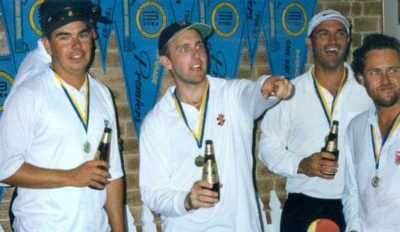 See below for some priceless photos from the Leeming Spartan Cricket Club’s 2000/01 season, which saw the first change in President in 21 years, as Peter Read succeeded the retiring Brian Waterer. 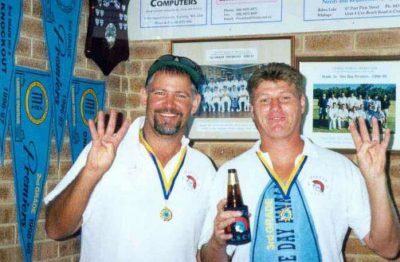 The Club at the time was of course in a sensational position in all corporate matters on the back of Brian’s decades of service, and Peter had been very much involved in this for the longest time. 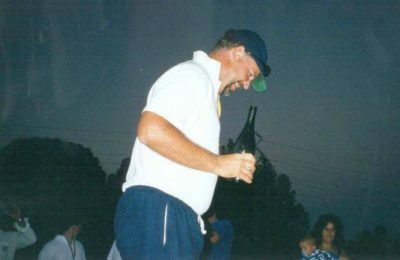 Read was therefore the clear candidate to succeed Brian, and although his time as President lasted just the three years, an extraordinary number of accomplishments were achieved, and the foundation for a new and lasting direction at the Club was laid. 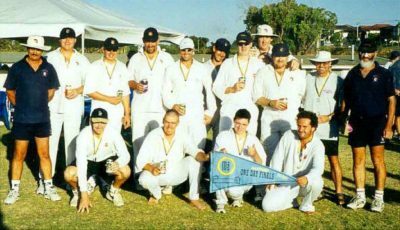 It was also a successful season on the field, as four of our sides made the finals, and both the Third Grade and Sixth Grade went on the win the Premiership. 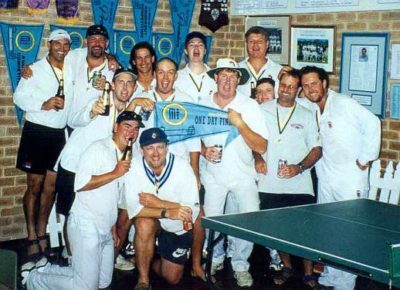 The stand out team performance was the Third Grade, who finished Minor Premiers, won the Premiership and also the One Day Final. 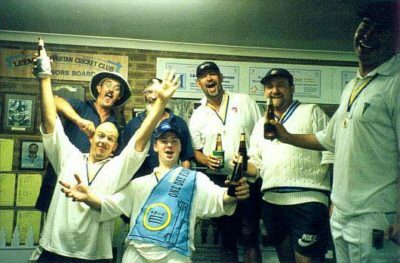 Eight players scored hundreds for the Spartans this season, including a club record 187 not out by Glen Dobson (since surpassed by Brad Mant’s 194). 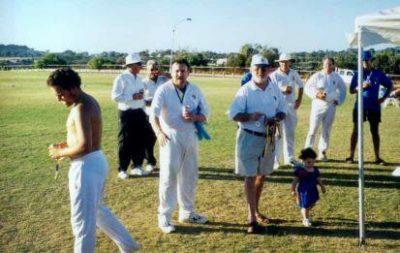 See photos from this fantastic on-field season below!